Continuing onwards we pass Craig highland farm with its lamas and rare breeds. Take the road to Achmor and re-join the A890. Turn left and A896 through Loch Carron and Kishorn and at Tornapress turn left , and you are now entering the Applecross Peninsula and heading towards the Bealach Na Ba (pass of the cattle) climbing 2053 ft in 5 miles . Make sure you stop at the view point to take in the view and then it’s on to Applecross. 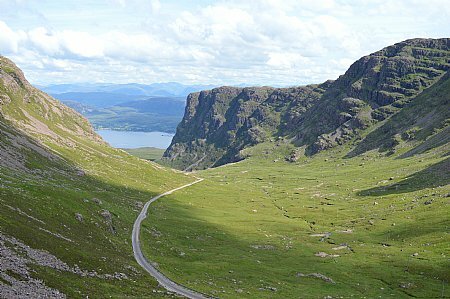 Head north around the top of the peninsula to Arinacrinachd, with a stop at Shard Stained Glass, via Kenmore and the Applecross smoke house . Re-join the A896 to Shieldaig, a village established in 1800 to train seamen for the Napoleonic wars and after became a fishing village. Continue to the Junction of A832 at Kinlochewe. An opportunity to visit the Beinn Eighe nature reserve. 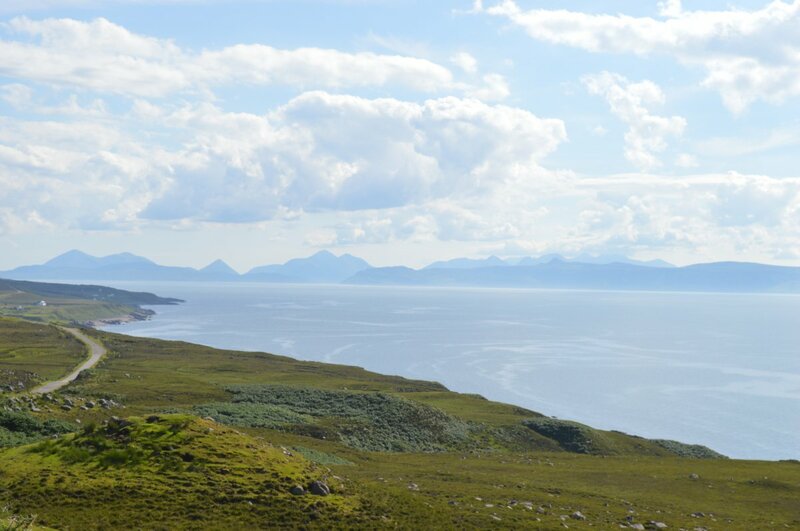 Our journey continues onto Gairloch, where you can experience Fishing and Wildlife boat trips from the harbour. There is also an opportunity to visit the lovely beaches in the areas where the water warmed by the gulf stream, its clean and remote. Visit the museum at Gairloch to find out the history of the village.